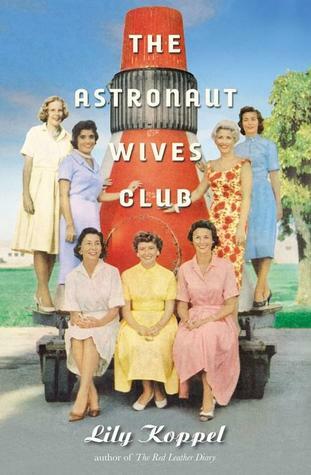 This book attempts to tell us the stories of the wives of the astronauts who were involved in the space program in the late 50s to the early 70s. I say it attempts to, because there were just so many of them, and so much ground to cover, that it isn’t possible to get an idea of each of them in 250 pages. It did, however, bring them to my attention as a group; I had never given them much thought before. A few weeks after having read this book, a few things about it stand out the most for me. 1. The fact that the wives of the astronauts were followed around and photographed and written about for Life magazine is horrifying. Imagine always being on display; having to always look nice (no yoga pants for them), act nice, be careful what you say and do (smile sweetly at your husband while thinking about the other woman he’s been seeing). How awful. I don’t know if I could do it. 2. The thought that not behaving like the ‘perfect wife’ might have hindered their husbands’ careers is disturbing. It made me wonder if this is still the case, and it probably is in some cases (politics?). 3. The idea of a club for all the wives is intriguing, and would have been great comfort and relief for some of them, but I can’t help but wonder if it was really as great as the book implied. I hope it was. Was there enough research done to know for sure? 4. The extreme anxiety some of them would have experienced as a result of their husband’s dangerous jobs, made worse by the fact that they were left to take care of the children alone while also appearing in control at all times. Some of them turned to an overuse of tobacco, alcohol, and tranquilizers. 5. I would have liked to have gotten to know some of them better; there could have been some interesting stories here. But, do they want to be more well known, or have they had enough? 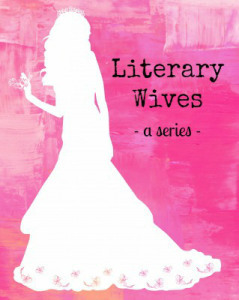 The wives in this book are defined by their husbands, and their husbands’ jobs. NASA wanted their astronauts to have a good image, and their wives were a part of that; they had to appear proud and in control at all times. How this affected the way the women saw themselves is not clear; there are so many of them in the book, it is hard to get insight into any individual person. It is mentioned, though, that many of their marriages ended up falling apart in the end. This may have happened to them anyway, or it might have been as a result of the years of being apart from their spouses, and the stress on the women to always be ‘on’. There are a couple of quotes in the book that might give us a clue as to how they felt about their role as an Astronaut’s wife. One thing that kind of appalled me about the club, and that was how unwelcoming the first group of wives were at first to subsequent groups. Emily mentioned that the wives were competitive, and it really showed when the second group of wives moved in. I had forgotten about that competitiveness of the first group versus the others. It was glossed over so quickly. I also think there must have been a lot of it within the groups – how could there not be? There must have been so much going on, that it would have been impossible get into it all. Yes, and the men were so competitive, too. Most of them kind of sounded like jerks. I’m thinking that she was trying hard to keep the focus on the women. That was a worthy motive, but by omitting information about the men and the missions, it made it difficult to get as involved as we might have. For example, if we felt like we really knew an astronaut and knew he was in danger, we would sympathize more with the wife. Instead, we hardly didn’t get to know the men and heard very little about the missions. Very true. I had a hard time knowing how much sympathy to feel for who. Also, you made more of the lack of privacy than I did. Good point. I think, though, that Koppel must not have done a very good job of interviewing the wives, because in the TV special I watched recently, they seemed much more willing to talk than Koppel indicated. I couldn’t help but wonder about her interviewing process. Depending on who she got to talk to (and who she wasn’t able to, or didn’t want to), her information would be lacking in perspective. Yes, I think she probably had difficulty getting information out of people. But it didn’t sound like she talked extensively with any of the wives. So, in the end, we don’t really know a whole lot about them that we couldn’t find out for ourselves, do we? My point exactly. Well, we know what they wore! One of my favorite movies is “The Right Stuff”. It gives you some of what the astronaut’s wives went through. There is one particular scene I remember well about Annie Glenn. Mrs. Glenn had a bad stutter. When Glenn was getting ready to go into space, Vice President Johnson wanted to go meet her. He figured I am the Vice President. Just to photographed with me would be such an honor. But she was having none of it. Johnson called Glenn and told him to make his wife let him in. After all, he was the Vice President. Glenn phoned her and said there was no way she would have to see the Vice President or anybody else if she didn’t want to. I had no idea that movie existed – I’ll have to check it out! You make such a good point that they were defined by their husbands’ jobs. I think sometimes women sacrifice a lot for men’s work and they are certainly expected to put men’s work first, but being followed by Life and being the perfect women as defined by NASA must’ve been debilitating. Your review made me think of just how “policed” these women were in every aspect of their lives. And yes, this book was “an attempt.” I dare say that each wife deserves her own biography! I like to think women aren’t expected to do that anymore, but I have a feeling that’s not the case. 😦 This book made me think about how debilitating that would be. At times the wives must have felt like they lived in fishbowls. I agree – I can’t imagine being a part of it all, either. I could probably have handled the being alone, but not the press following me around. I really admired some of those women, and would like to know more about them. It must have been rough, but I got the distinct impression that they loved the furs, the jewelry, and the parties, unless that was just because of the emphasis Koppel placed on those things. I got the sense that they did enjoy having their lives made easier by the money, the nice houses, etc., but not necessarily the parties. I think that’s where many of them had to put on their party faces. But, who knows how much real information Koppel was able to dig up on all that. Probably that’s a difference we would have learned more about if we could have differentiated them better. Mrs. Glenn almost certainly didn’t enjoy the parties because of her stutter, but we didn’t get to know that much about the others to posit whether they liked the parties or not. Maybe some did and some didn’t. We certainly HEARD about the parties. I think that was the kind of stuff that impressed Koppel, the perks. I’ve been watching the show (can’t get enough) and occasionally my husband will wander in and tell me about the astronauts. He keeps telling me to watch The Right Stuff now and other movies about the astronauts and it infuriates me. I don’t care about the men. We’ve documented their lives. A few times now. This is the first time that I’m aware of the women being the focus. And yes, this book wasn’t executed perfectly – I had a lot more questions after – but it’s a start. Their lives were very much focused on their clothes, children and what was for dinner but that was the reality for many women at the time. Some of them broke out of that mold for their own dreams. They had to be on all the time. I can see how, having lived on military salaries, they might have been threatened by the new group of wives and having so split the perks and money more ways. I’m just glad that we’re finally getting to focus on the women and the sacrifices they made. The fact that the book was about the women was definitely the reason I was interested in it. I don’t have a lot of interest in the space program, itself. My interest in the men only goes so far as how they affected their wives’ lives. The fact that this book was just a start is a good point – before the book I wasn’t really aware of any of it. The show really sounds like something I would like; the friendships (or not) between a bunch of women in days gone by, made even better by the fact that they were real! I had never heard of The Right Stuff until now. I’m curious to know how real it gets. I feel the same way. I don’t really care about the men. I care even less about space. But the women! The women interest me. I’m going to have to be on the lookout for more material on these women. Hopefully there is (or will be) more out there. I absolutely could *not* have lived like that. I would never want to be a celebrity because it would mean I’d have to watch my every move in public and even be careful at home! No, thanks. I like my anonymity. 🙂 These women had to have been some tough cookies to deal with that, and it’s no wonder some of them turned to drugs. “Tough cookies” is a very good way to describe them. If they weren’t tough at first, they sure had to become tough pretty quick.